I Have Questions Regarding G1. so i have been thinking about G1's ending and i have some questions that have been swimming in the abyss ov my mind and so i would like them to be answered! 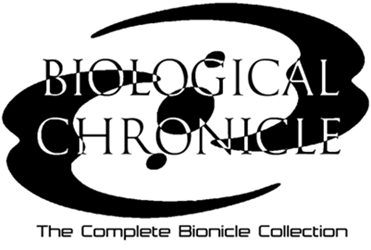 1: did all the Toa, Matoran, Turaga and Titan characters that died during Bionicle G1's run been resurrected? 2: did the original six Toa (Mata) revert back to 2002-2003 Nuva status? 3: did the Rahaga get turned back into Toa Hagah? 4: did the Toa Mahri get turned back into Toa Inika? 5: was the Mask ov Life put somewhere safe like behind glass or something? 6: were the dead Rahkshi, Nektann, Skrall, Bone Hunters and Tuma cannibalized for armor? 7: did Takanuva get turned back into 2003 form? 8: did Ahkmou finally see the light and became a follower ov Mata Nui? 9: did any dead Glatorian get resurrected? 10: did Brutaka and Axonn become friends again? that's all i have for now! if i have more i will add when i feel like it! so what do you think, guys and gals! any answers? 1. All of them (besides Matoro) were resurrected on the Red Star, but its teleportation device broke down, so they did not make it back to the MU or Spherus Magna. 2. Tahu was reverted to his Toa Mata form, so he no longer has his enhanced Nuva powers, but he now possesses a bunch of Rahkshi powers. The rest are still Nuva, and still possess their Adaptive Armor. 5. Wasn't specified. I'd imagine it's being kept in some kind of Suva-like shrine/temple, but that's just a guess. 6. Uh... I don't think this was ever specified. Most of the Rahkshi, at least, were either fried by the golden armor or left to die in the MU. 8. Unspecified, but I doubt it. Last we know of, he was trying to gain the favor of some Glatorian. 10. Of a sort? Axonn believes that Brutaka is back on the side of the righteous, but I don't know if they're close enough to be considered friends again yet. For question 4. - No, they remained in their Mahri forms. I'm not certain if their armor lost the breathing apparatus used in the Pit, but there wasn't any major change in their armor or appearance. For number 6, Tuma wasn't actually killed. He lives alone in the wake of Mata Nui and Teridax's final fight. Good luck at soccer practice today steven! The Rahkshi weren’t fried, I don’t think. Just their Kraata. The Rahkshi are now wild. Rahkshi cannot operate without kraata. Pretty sure Tahu didn’t fry all the Kraata, though, just the ones involved in the Bara Magna assault, which kind of renders the point moot. Edited by Cheesy Mac n Cheese, Feb 25 2019 - 01:17 PM. Pretty sure Tahu didn’t fry all the Kraata, though, just the ones involved in the Bara Magna assault. That quote says "With no Makuta to control them," not Kraata. Seems like Greg's referring to the surviving Rahkshi that still have Kraata. And yes, only those involved in the attack were fried. Edited by TuragaNuva, Feb 25 2019 - 01:18 PM. Miserix can also make more Kraata (and probably will, based on Greg’s comments about him).